Ep. 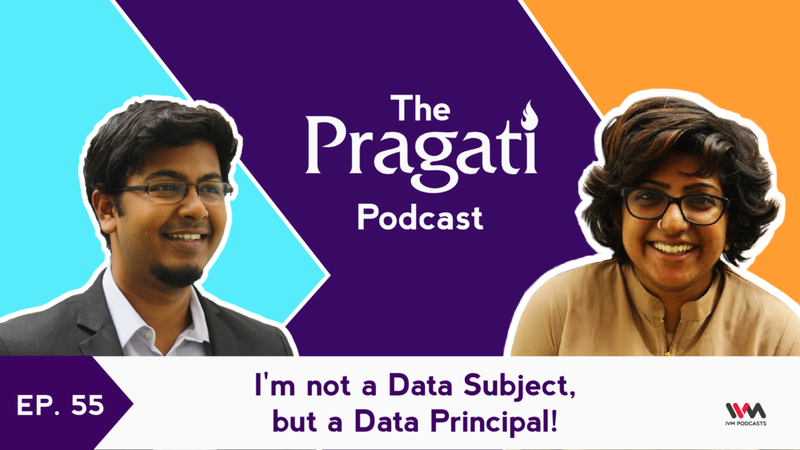 55: I'm not a Data Subject, but a Data Principal! The Government of India is trying to create the first ever law to protect your personal data and information. The Justice Srikrishna Committee has come out with a draft Personal Data Protection Bill, 2018. So what's it the data protection bill all about? Will it safeguard our privacy or create a monstrous government apparatus? Manasa Venkataraman and Ajay Patri, researchers at the Takshashila Institution, offer a first look at the new draft bill, and share their initial analysis. Episode 55 follows from the last two episodes with Rahul Matthan, on the evolution of privacy, and policy developments in modern India. Have any questions or comments? Write in to podcast@thinkpragati.com.